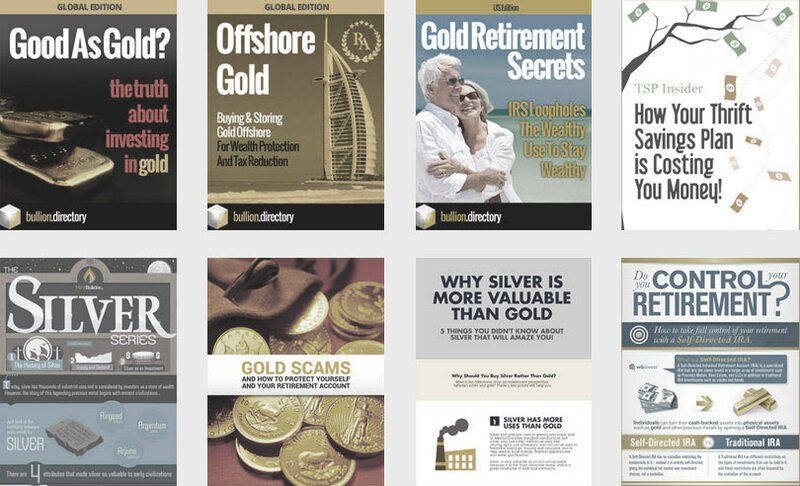 GoldenSuisse provides clients with a traditional wealth and privacy preservation solution based on gold bullion, which goes back to the very early days of banking, when gold was currency and leveraging client funds was not permitted. Contrarily to modern banks, GoldenSuisse works with “Regular Deposits” in the same way banks used to do before paper money was invented . This means that all gold coins held in our custody, belong to you alone, may not be touched by us, and have to be restored to you by law. Banks on the other hand work with “Irregular Deposits”, which means that you are not entitled to full ownership of your own money, being subject to all risks of bankruptcy. Trading globally from an HQ in Switzerland and with offices in London, New York, Singapore and Sao Paulo, GoldenSuisse combines the advantages of gold as a store of value with the convenience and technology of digital banking, seamless online trading and a lifestyle-friendly bank card. Ideal for HNW individuals, businesses or those wary of traditional banking’s lack of privacy and bail-in dangers, GoldenSuisse provides segregated gold vaulting in the world’s most secure vault whilst allowing instant access to funds via a beautiful brushed-gold private Mastercard (EU only) and secure smartphone app. We are not aware of any alerts concerning this company. There are no current discount codes or special offers available. 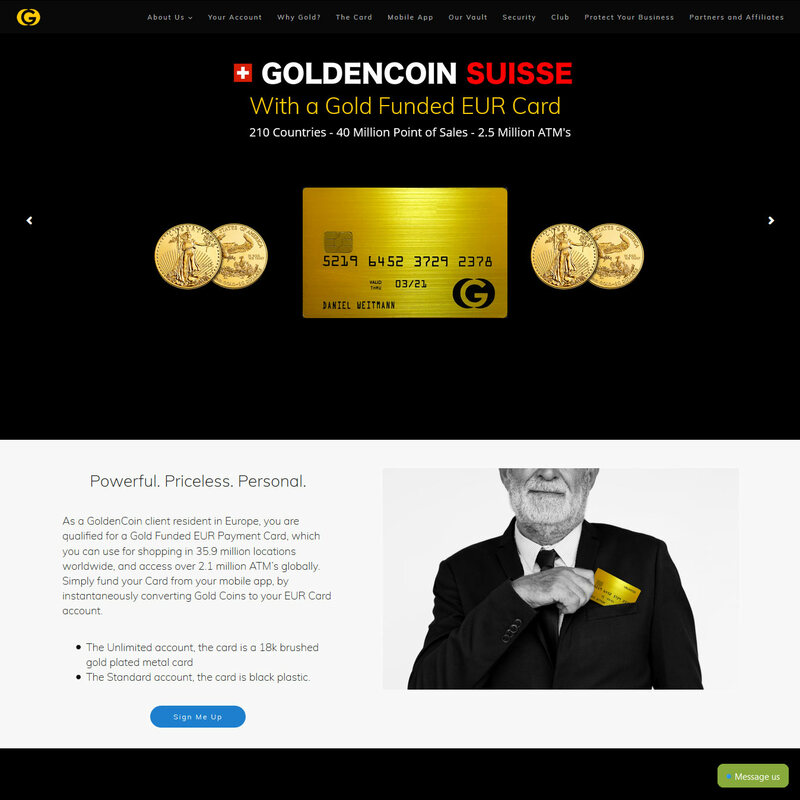 The main GoldenSuisse website contains extensive product and investor information, explaining their unique gold based Non-Bank business with bank-card proposition very clearly. Each element of their service is described in detail, covering both the reasons for the product offerings to the practical detail, process, fees and low pricing. Acting as a bullion dealer, EU debit-card supplier and offering services similar to an exclusive Private Bank (minus the savings and loans element) – GoldenSuisse’s legal policies are particularly thorough. As should be expected from a leading international bullion dealer, GoldenSuisse’s Asia-facing website is easy to use, clear and clean in design and layout with obvious navigation top and bottom. All written copy is clear and easy to read being high contrast white on black or dark grey on white. The site is fast loading and secure, running pages through an https SSL certificate, with a fully responsive layout allowing maximum clarity across all devices. There are not currently any reviews available for GoldenSuisse Asia, however parent company GoldenSuisse‘s reviews are extremely positive with 5-star ratings across major review websites. Bullion.Directory recommend that complaints should be made directly to GoldenSuisse Asia in the first instance – by calling their Singapore customer care line on + 65 316 32 912 or via email through their secure contact form. When doing business with GoldenSuisse Asia - please say you saw them in Bullion.Directory. Read or add GoldenSuisse Asia reviews and ratings using the "reviews" tab above. All GoldenSuisse Asia details are believed to be correct at the time of listing. Please report errors here.